Shop Handmade UK: Discounts, Offers & an Exhibition! Good to be back after a few days sort of away from the PC but all the more work to catch up on now. I have 32 new designers awaiting to be added to the directory so that will be my next task. 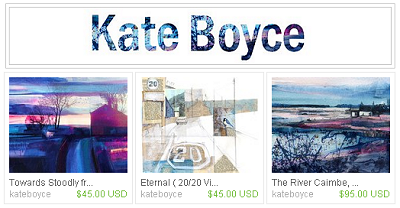 For now I have a few discounts, offers & an Art Exhibition to let you know about. Susan Green Books is offering FREE Worldwide shipping from her Etsy store until 7th Sept.
Bodrighy Wood is clearing stocks and offering a discount on these 3 Native American style pots in beautiful beech. To read more about this offer visit their blog. 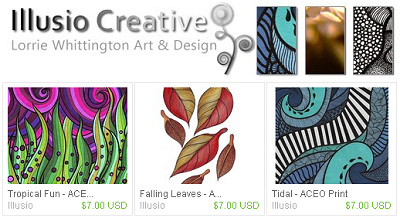 Illusio Creative is offering 20% off all original paintings and illustrations. Those in store now are the last originals available, after Christmas Illusio will be focusing on her prints. Invest in an original now! To read full details visit her blog. Kate Boyce will be holding her solo exhibition - A Different Light from Sept 23rd - Oct 19th at The Calder Gallery in Hebden Bridge. Kates' work is inspired by local Yorkshire landscapes and beyond and ranges from mixed media canvas's of varying size to framed works on paper. For full details visit her blog. Thank you Belinda, your help and support is truly appreciated as always.. I like this style feature you have introduced. Easy to read information and nice way you have used the graphics.